You need jeans. Everyone needs jeans. 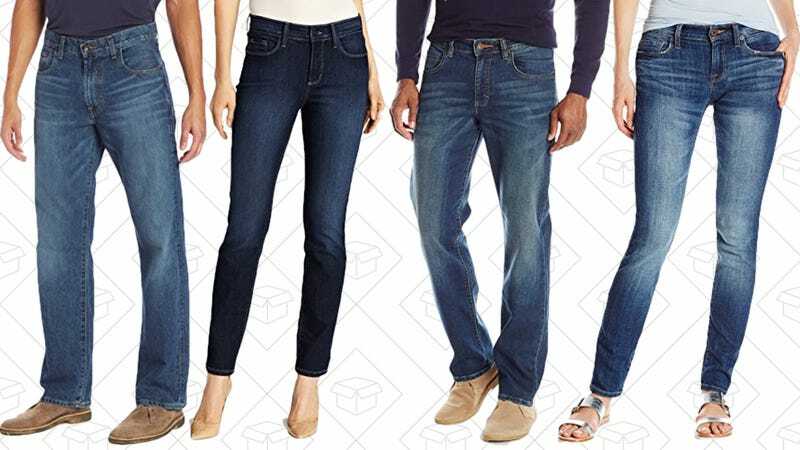 Right now, get some from brands like Lucky Brand, Lee, NYDJ, Calvin Klein and more for a lot less during Amazon’s one-day sale. There are jeans for as low as $20, plus shorts, skirts, dresses, and plus size thrown in for women and a couple Big & Tall pairs of jeans for the guys. Here are a few really good options to grab, but there are a ton more over on Amazon.